Creams don't simply stop the burn, they now claim to help ageing, sensitive and damaged skin. And with melanomas on the rise they are vital for sun. We all have our favourite brand of sun cream – often chosen by the scent – but now the whole science of sun lotion is moving into a different phase: creams that treat as they protect. Protection from the sun’s rays is still the most important function. Skin damage from the sun is mainly caused by ultraviolet rays – both UVA and UVB – and it’s the UVB rays that penetrate deep into the skin and cause skin damage (such as wrinkles) and skin cancer. Now there are creams that provide protection against harmful rays and help repair damage from years of sun exposure. Most experts consider a tan an indication that skin has been damaged and is trying to protect itself against further damage. In sun creams we buy, the crucial ingredients are UV filters, the chemical substances that act as a barrier against the sun. They fall into two groups: synthetic/organic filters which absorb UV light or mineral/inorganic ones, like titanium dioxide, which reflect UV light. High-end products can use both for protection. 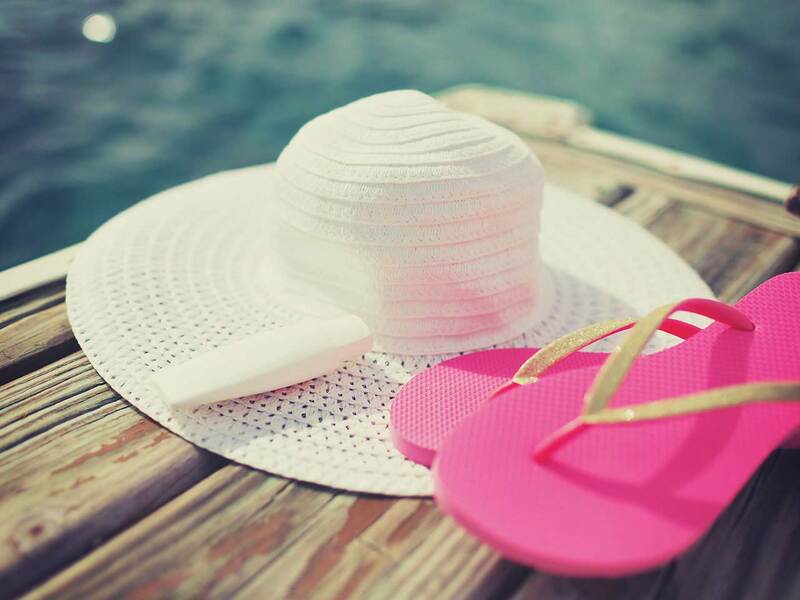 According to Cancer Research UK, because of the rise of package holidays in the Seventies, people in their sixties and seventies are five times more likely to have malignant melanomas than their parents. The good news is melanoma is almost preventable if you avoid getting burnt. Steve Richards, director of Macmillan Cancer Support (macmillan.org.uk), feels the increase in skin cancer is due to people living longer and tans being fashionable. He says, "It’s not about scaring people but about taking simple steps to stay safe in the sun." New-generation sun creams are formulated for different environments and skin types. Sunsensitive people are now catered for and Dr Sarah Wakelin, a consultant dermatologist and skin allergy specialist, says, "Many people have experienced sun-sensitive skin at some point. Those with fair eyes or skin and freckles have a built-in tendency to sunsensitivity, which means they burn easily and can’t get a proper tan. Skin complaints like rosacea and dermatitis can get worse after sunning." If allergy-prone, the Piz Buin Allergy range is specially formulated for sunsensitive skin. It combines UVA and UVB sun filters with an antioxidant called Calmanelle, which increases the skin’s tolerance to the sun. No more hiding in the shade for those with pale skin. Award-winning hairdresser Errol Douglas MBE (020 7235 0110), recommends wearing a loosely-tied scarf, not a hat. "Hats can trap too much heat and pores on the scalp become clogged, so unless it’s breathable, such as a loosely woven straw hat, I’d avoid. Try the Matrix Biolage Sunsorial range, especially Aftersun Shampoo, which purifies hair from pool/sea water." For a carry-everywhere that lasts for hours, the legendary Elizabeth Arden Eight Hour Cream is now available as an Eight Hour Cream Sun Defense for Face SPF50 – it has met strict criteria of the Skin Cancer Foundation. If pigmentation and age spots concern you, then try NIA24 Sun Damage Protection 100% Mineral Sunscreen SPF30, 75ml, (020 8740 2085; spacenk.co.uk), the choice of actresses such as Debra Messing (Will and Grace) and Marcia Cross (Desperate Housewives). It claims to help improve pigmentation and brown spots, as it contains vitamin B3. The test results are promising. Sun care even comes in supplement form. Imedeen Tan Optimizer is packed with plant extracts and vitamins. Sixty capsules is two months’ supply (0845 555 4499; imedeen.co.uk). Why don’t creams have a SPF of 70 or even 100? It is to do with stabilisation, as Julian Hewitt from Croda, a supplier of active ingredients for the suncare industry, explains. "EU guidelines say brands can only claim sun-care protection up to SPF 50+. It is difficult to reliably test SPF values of over 50 and so far we do not have scientific evidence that they provide significantly more protection. Due to the necessity for formulators to use a number of UV filters for SPF 50 products, the consistency and feel of the lotion is often affected and it could become an unattractive product." If you do burn, perhaps when gardening, then try Institut Esthederm Intense After-Sun Care Special Sunburn SOS Milk, 150ml, (Liberty, liberty.co.uk). This is soothing. Our tester said "like bathing in ice cubes – in a good way". If you prefer to go faux, I recommend Xen-Tan’s home products (Xen-Tan Face Tanner Luxe, 80ml gives a natural glow), or the new Xen-Tan salon airbrush spray tan, which can last 10 days (0844 800 7661; xen-tan.co.uk). It doesn’t smell terrible and the colour is a gentle brown. Finally, if sunbathing, the amount of sun cream needed to cover your whole body is six teaspoonfuls... and it must be applied half an hour before exposure. In the UK, one in 10 of us will suffer from skin cancer and there are 100,000 new cases every year, so The Mole Clinic (there are 25 independent clinics nationwide) takes its skin cancer screening very seriously. The procedure takes 45 minutes, during which you are asked extensively about your medical history. You then strip down to undergarments and every inch of your body is discreetly checked for moles by a "Screening Nurse". I was surprised to learn that small, dark moles are of more concern than large raised ones. They let you know if you need to see a dermatologist or your GP about any moles. Early screening can save a life, so I highly recommend a consultation. The Mole Clinic, 020 7734 1177, themoleclinic.co.uk. 150ml for £43.68 (karinherzog.co.uk). This tan accelerator is to be used before exposure to sun. The oxygen is said to protect skin from the sun’s rays. Must be used with SPF cream. 40ml for £6 (boots.com). This is specially developed to protect sun-sensitive and allergy-prone skin. 100ml for £11.19 (boots.com). This impressive gem has been lab-tested to prove it gives 10 hours of sun protection. It is a clear liquid that leaves no white marks and is very water-resistant. No added fragrance, colourants or preservatives. 200ml for £6.49 (amazon.co.uk). Quick no-fuss oil. It can be sprayed through hair on to the scalp and all over the body. Offers medium protection – so do keep applying. 40ml for£20 (caudalie.com). This is broad-spectrum, claims to be anti-ageing (grape extracts) and is nonsticky. These products are paraben-free with no artificial colourings. (www.rodial.co.uk). This is for the body-conscious, as it encourages a tan (safely) with its "tan boosting peptides" and claims to have "slimming actives" in it to help reduce cellulite. We tested it and were suitably impressed. 50ml for £20 (feelunique.com). Great for the allergyprone as it has no oils, emulsifiers or perfume. One application only is needed to give all-day protection. Has enzyme to reduce free radicals. 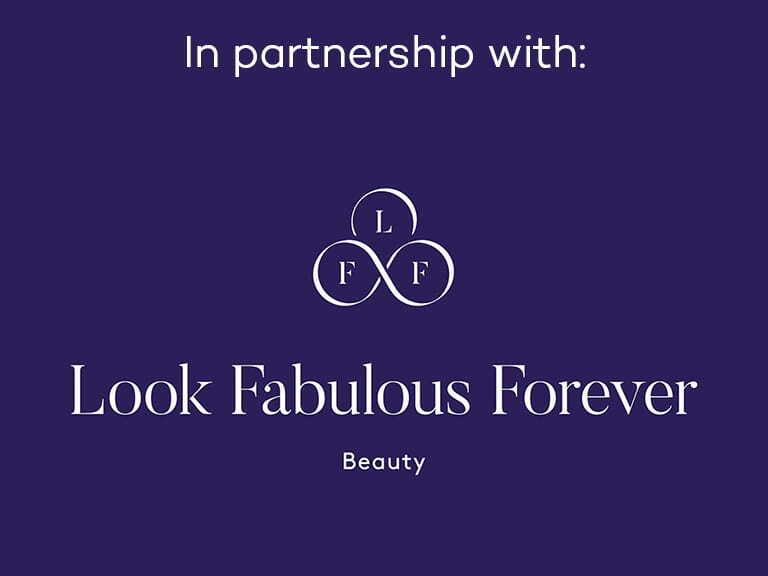 Get 15% discount on makeup that suits the more mature face at Look Fabulous Forever. Lynnette Peck has been a journalist and stylist for well over 20 years and has written for Vogue, Cosmopolitan and The Daily Telegraph as well as Saga Magazine. She now owns lovelysvintageemporium.com and continues to write about her twin loves of fashion and beauty.